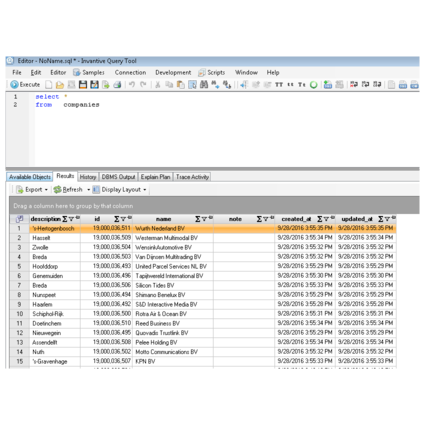 Invantive's free SQL Query Tool for Freshdesk provides access to your Freshdesk data using familiar SQL statements working directly on the Freshdesk APIs. - Flexibility of SQL paired with the data provided by FreshDesk. - Download facts into SQL query tool such as tickets from FreshDesk using queries. - Real-time customer relations management and business intelligence. 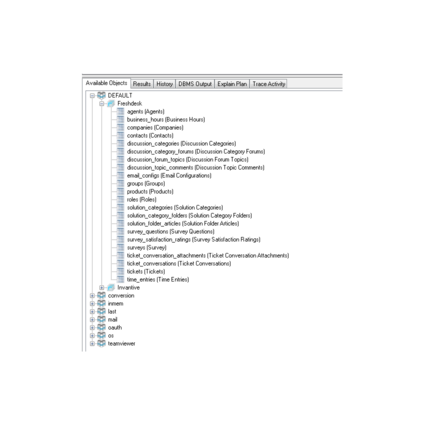 - Re-use existing SQL knowledge without learning API protocols and/or coding. 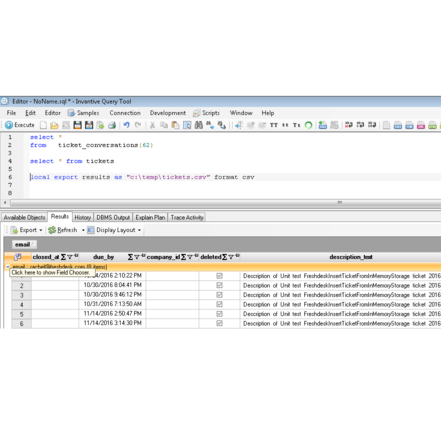 - Develop and run SQL statements. 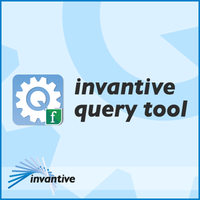 You can download Invantive Query Tool by clicking the Download button on http://download.invantive.com and follow the instructions. 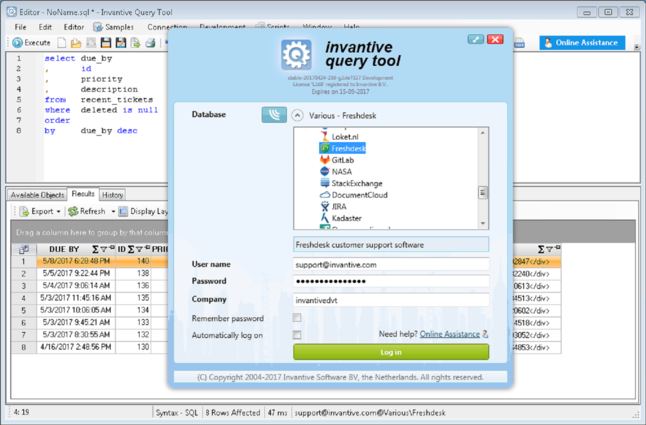 More information about installing Invantive Query Tool you can find on YouTube: https://www.youtube.com/watch?v=Yw6efFrHkEk&index=1&list=PLzxuao1TbMiaAl5bLdR40bbFpEx8-5eZE.